In the year to end June 2017 new build house prices rose on average by 5.4% across the UK which is marginally down on last year’s figure of 5.6%. The figure is roughly in line with the recently published ONS figure for the year to May 2017, which was 4.7%. 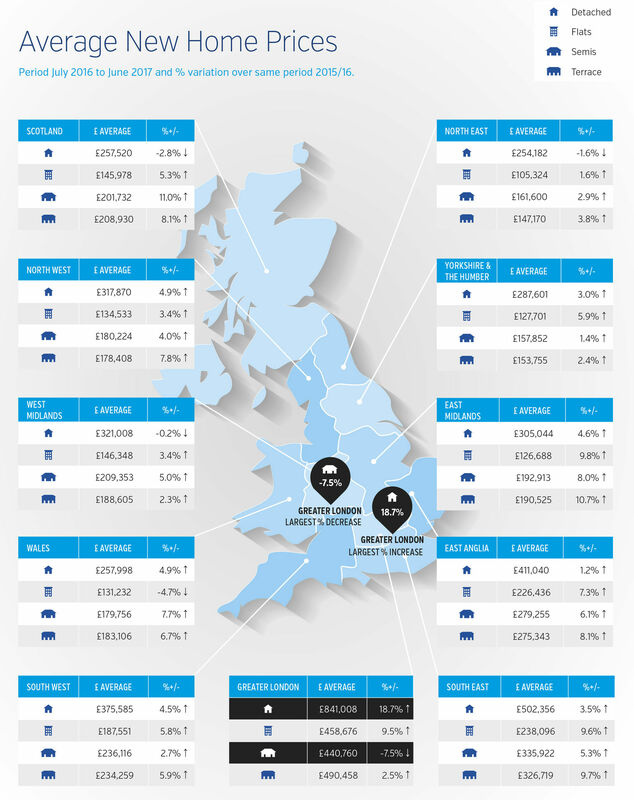 The strongest house price growth remains focused in the South and East of the country, but all regions are showing price growth to a greater or lesser degree. If Greater London is taken out of the calculation and we take a crude average of the remaining regions, then the average house price growth is 4.3% compared to a figure of 3.9% last year.